Keeping tabs on your car has become a lot easier with the introduction of dedicated smartphone apps. Almost all manufacturers now include some kind of smartphone interactivity, but apps go one step further, allowing you to remotely check your range, plot your destination, arrange your playlists, and even remember where you’ve parked. Here are five of the best out there. 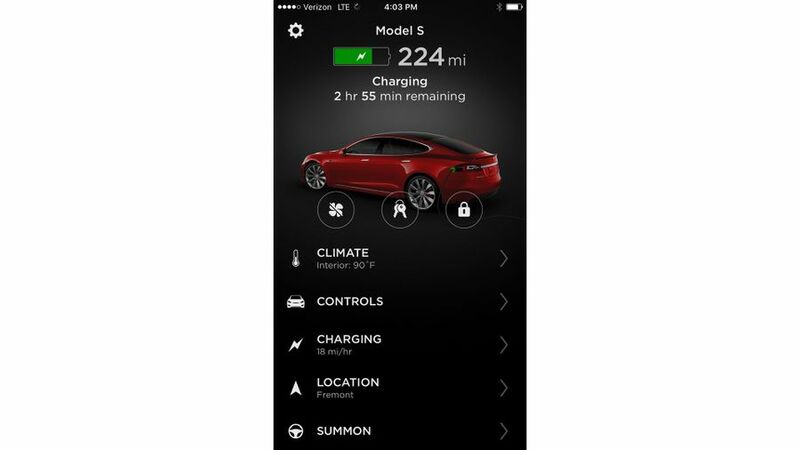 Tesla's app offering is an essential part of their all-electric ownership experience. For a start, it’s a handy pocket reminder of your car’s charge state and available range. It also doubles up as a key, for keyless unlocking and driving, while the inbuilt valet mode lets you restrict the exceptionally high power output and glovebox access should someone else be taking it round the block. The app also caters to owners of Tesla’s Powerwall home storage system, providing stats and details about charge and energy consumption. Finally, you can use your phone to remotely set the in-car temperature, pre-heating or cooling it before you set off. As well as giving you the increasingly standard options of remote locking, climate control, and navigation support (with an exportable ‘Driving Journal’), Volvo's On Call app has been designed to give you an added layer of security and peace of mind. 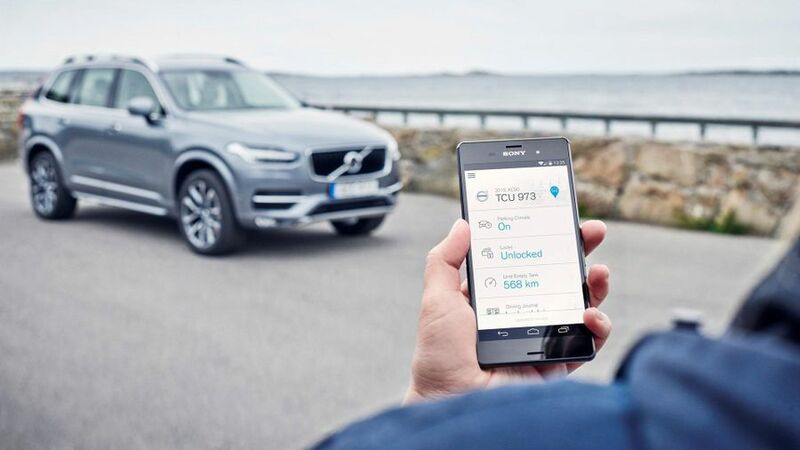 The app gives you direct access to Volvo’s own bank of operators, so you can call for roadside assistance or make an SOS call if the situation is more serious, and there’s also a handy theft alert system. Volvo is shaking up the car ownership model, > with a subscription service for its newer models. 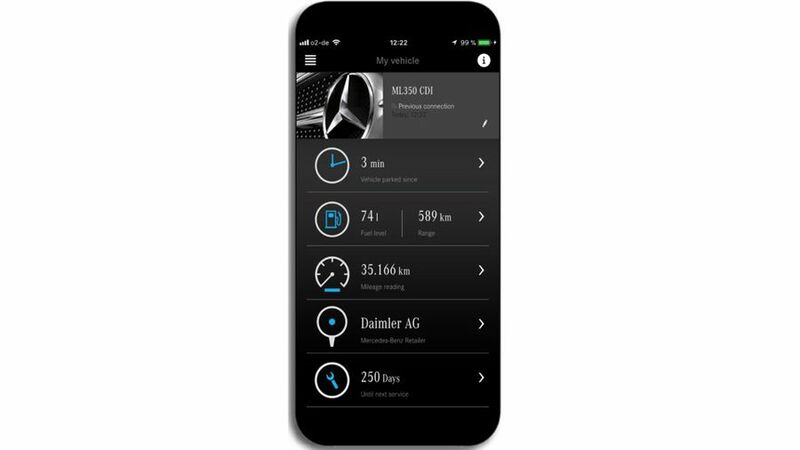 VW offers a huge range of apps under the blanket title Car-Net. This range from the in-car entertainment system in the screen-less Up city car, through to smartphone integration with all models, allowing favourite apps and information to be shared with the car’s dashboard interface. A partnership with Apple Music will take care of the tunes. Volkswagen also offers dedicated apps for its burgeoning range of electric cars, which currently consists of the e-Up and the e-Golf (with more to come), allowing you to check range and charger status from your pocket. Mercedes' me connect suite has one impressive party trick, Remote Parking Assist. 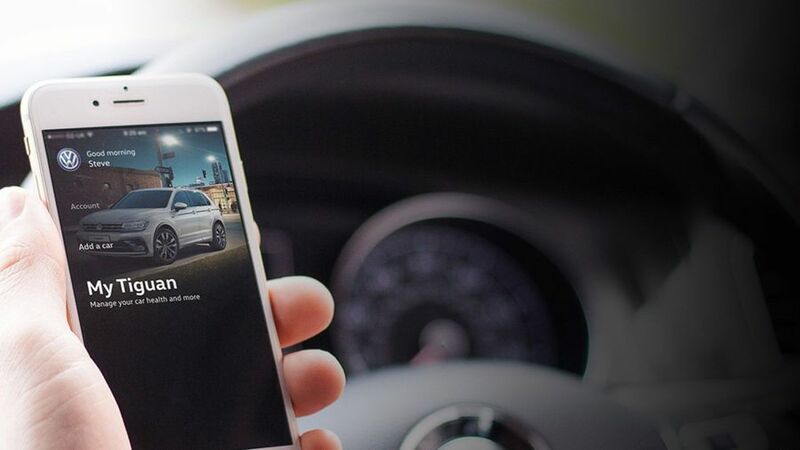 The app transforms your phone into a remote control, letting you pilot your Mercedes into a compact garage, parking spot or even down a tight alley (and then help you retrieve it, naturally). Top of the range models have access to Concierge Services – Mercedes’ answer to your own personal assistant – and there’s the option of bringing office documents and contacts into the car as well if your work takes you on the road. The standard ‘me’ app gives you fingertip access to your car’s systems, while Mercedes also offers backwards compatibility with models from the pre-smartphone era, the oldest from 2002. 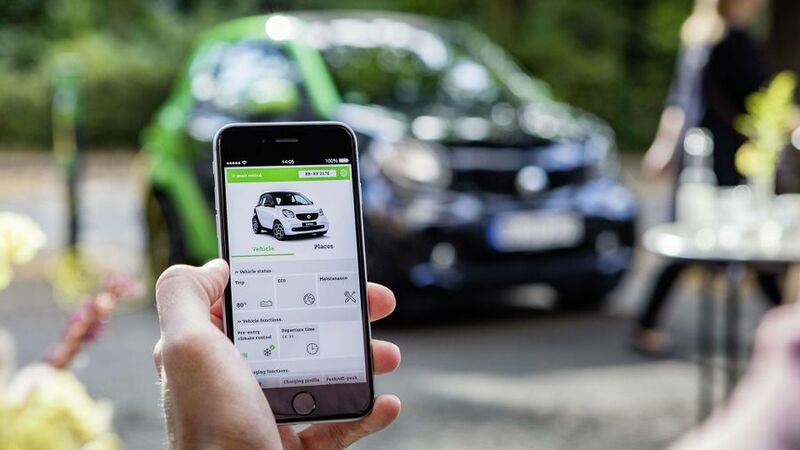 Smart's cross connect app is designed to bolster the functions of the car. The German city car brand keeps things minimal, offering up only a smartphone dock instead of a conventional flat screen. Install the app and you’ll have access to radio and infotainment controls, a navigation system and also trip information direct from the car. A similar system is used in Volkswagen’s Up range, effectively exploiting the power of your smartphone to enhance the driving experience in this little car. Bold, characterful graphics mimic the innate cheerfulness of the car itself, and the focus is on simplicity and speed, not ultra high-tech gadgetry.